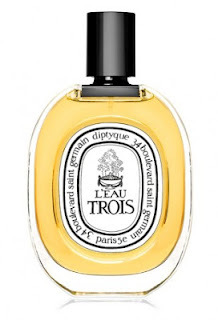 Reading your review of Guerlain Myrrhe et Délires, I noticed you again mentioned your affection for L'Eau Trois. And so I looked it up on MakeupAlley and saw that it was the lowest-rated Diptyque (1.8! ), with some reviewers saying it smelled of body odor and others comparing it to a dirty bathroom. This is the most interested I've ever been in a Diptyque! Especially after wearing all of these tasteful, watery niche things lately. I tried lots of Diptyques but it was a long time ago and so I don't remember much. Are the reviews even close to accurate? Because myrrh doesn't usually read as sweaty or urine-y to me. squirrelgirl gave it the lone five stars on MUA and I agree with her comment: "deep and smoky, yet spiked with touches of fresh, sharp green". It's more spiky green than smoky, though. You can imagine L'Eau Trois' aromatic herbs smelling good if they were burned, but this fragrance remains untorched. It smells "real", too -- no painfully sharp Karanal wood here. I'm not getting armpit or urine, don't know where those comments are coming from. I don't pick up cumin or indoles. It is piney, though, so maybe some reviewers might associate it with bathrooms or toilets because of Pine-Sol disinfectant cleaner. But then again, Pine-Sol doesn't smell like resin! It is quite bizarrely short-lived, and there is no persistence on the skin. So I really douse myself when I wear it. For years L'Eau Trois was available in a very limited supply, bordering on discontinued, but it's suddenly popped up again on the Diptyque website. I have scant childhood memories of the great outdoors, mostly because my parents were very old, older than many parents of parents, and when we'd venture out of the city, we'd do so cautiously. A trip to the woods consisted of parking and quickly finding the nearest bench on which to sit and keep an eye on things. My mother was especially keen on keeping an eye on things, which disqualified me from advancing far beyond our bench. 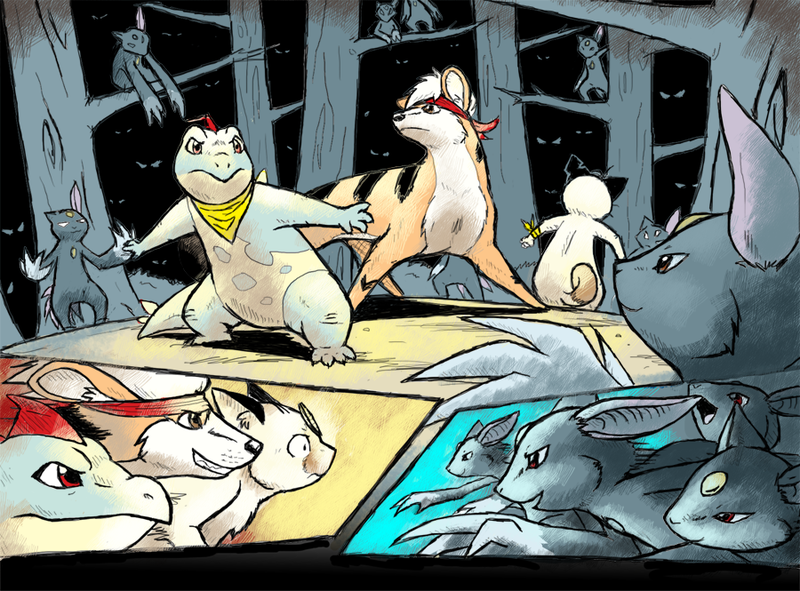 Otherwise, she insisted, I'd get lost or kidnapped or eaten by a pack of animals. She was an expert at worst-case scenarios, a savant of doom. Today I'm still not a serious nature lover -- nature is not in my nature -- and so when people attach perfumes to walks in the forest or camping trips, I can't relate. I usually just smell wood. Which is what makes my experience with L'Eau Trois so remarkable. I'd bought it on your recommendation and also because of all the hand-wringing over its possible discontinuation (my worst-case scenarios often involve perfumes being discontinued, something my mother would scoff at while she guarded against wild animals). Not only does it smell great, it carries me back to late summer afternoons with my parents in the mountains. Next to the car. I'm even convinced I can smell a hint of gasoline in the top notes. We never stayed out very long (my dad didn't like driving after sunset) and L'Eau Trois is correspondingly short-lived. For an hour or two it makes me happy, but then it hurries me back home. 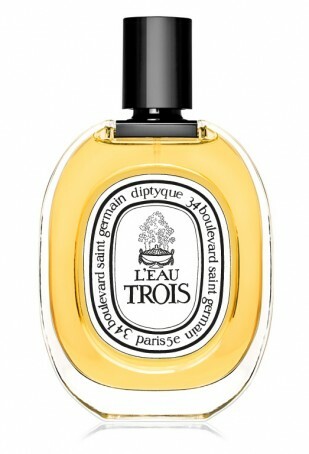 I suppose I should accept its limitations and realize that L'Eau Trois cares for me the best it knows how. But I'd sure love to stay out awhile longer. Very poetic writing Dan, beautiful and evocative. Wow, that last letter is so lovely. And that final paragraph! So moving. Thank you for that, Dan. I loved that story about your parents, Dan. Mine were the same way. Then, oddly enough, my father discovered the great outdoors a few years ago. Now you can hardly keep him inside. Agree - Dan's post is beautiful! I'm also seeing L'Autre on the Diptyque site - hadn't that one disappeared, too? Do you like it? L'Autre is back from the brink of extinction. My friend Lisa who wears it always describes it as "truck driver's armpit". It's a pungent array of herbs and spices, and yes, slightly "fresh body odor"-ish when it first goes on. Fits more into the spice rack category of perfumes like Serge Lutens Serge Noire and Parfum d’Empire Fougere Bengale.